The Edge Series is Back! If you intend to make it as a professional, perhaps the most important quality you can have is simple stick-to-it’iveness. Bloody-minded stubbornness is more like it. And no matter what, do not – do not ever – allow yourself to be dissuaded from the dream. Let me tell you a true story about my struggling years. I was a newspaper reporter and as such spent a great deal of time sitting through murder trials. Now there is nothing so boring as a murder trial. The lawyers laboriously, studiously, boringly go into incredible details of arcane law, frantic lest they forget some technicality. Sitting and listening to this nonsense in real life is most unlike the drama you see on TV. To keep myself busy I wrote, in longhand in steno pads. And I wrote what I thought was a pretty good yarn. I typed that up into a manuscript in the style specified in Writers’ Markets, then had to find a publisher. Now how do you go about such things when you have no track record and know nothing about the business? Why, you get an expert to handle it for you. Of course. So I went through the books again and found a likely agent. Mailed the manuscript off and started chewing my nails waiting for the response. Boy, did I ever get one. My manuscript came back in due time and along with it a letter. The letter said, not quite in so many words but very bluntly, that I was not a writer, should not bother her or anyone else again and to find something else to occupy my time. To say that I was crushed is an understatement. I was devastated. I took her advice. Because, after all, this woman was a New York agent and New York agents know everything. Right? Sure they do. I put that manuscript aside and tried to give up the thought of writing. It was three years before the desire to write overcame me to the point that I had to try again. I pulled that same manuscript out, read it over and decided it really was not that terrible. Sent it off again, this time to a small, mid-western press. They bought it, and Duster was a Spur Award finalist that year. I have been writing and consistently selling ever since. My point here is that the all-knowing New York agent (I have completely forgotten her name, but her initials are Ann B Elmo) very nearly stopped my career before it ever happened. And would have had I not been so determined to try again regardless of that ‘professional opinion’ from on high. Believe in yourself. That is the key. I’m involved in putting together a print anthology that will hopefully be of interest to western aficionados and to pulp fiction fans in general. At just under 400 pages, BEAT to a PULP: Round One is a gargantuan collection jam-packed with twenty-seven stories running the gamut of crime fiction, noir, sci-fi, hardboiled, western, literary, ghost and fantasy genres as well as a foreword by Bill Crider and a history of pulp by Cullen Gallagher. 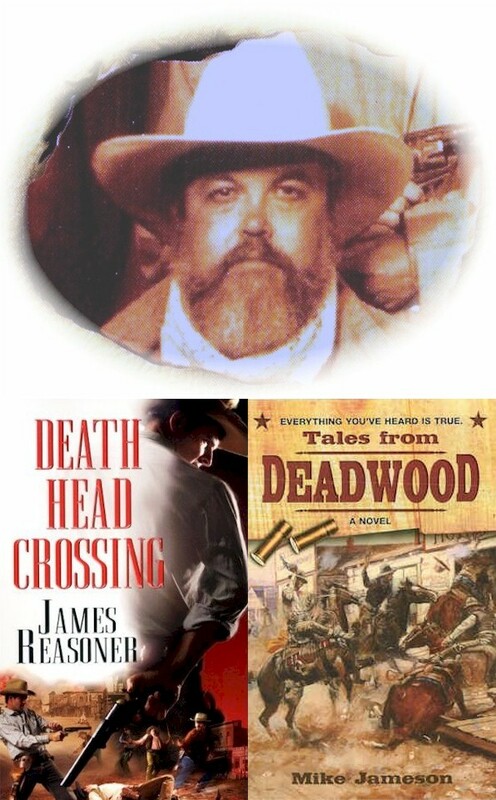 Authors well-known for their westerns, and writings in other genres too, have stepped onboard with some brain-teasing, spine-tingling tales for Round One. Ed Gorman weaves a psychological yarn about a broken-down marriage and infidelity called “Killing Kate.” Robert J. Randisi brings back Miles “Kid” Jacoby where the detective gets in deep with a case involving the paparazzi in “Crap is King.” Then James Reasoner takes us to Pearl Harbor where a beautiful nurse carries a deadly scent of “Heliotrope” for a haunting tale. 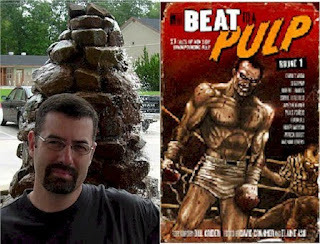 Plus there is an original short story by pulp legend Paul S. Powers. Mr. Powers had a prolific and successful career in pulp fiction, writing over 400 stories for such magazines as Wild West Weekly, Weird Tales, Thrilling Western and dozens of others spanning four decades. His granddaughter Laurie kindly supplied us with the never-before-published “The Strange Death of Ambrose Bierce.” Mr. Powers’ brilliant homage to the fiery editor and writer Bierce grounds our anthology and bridges pulp-of-the-past to the present. I had hoped for an August release, however, due to some last minute additions to the cover design, we are looking at middle to late September but the extra time will be well worth the wait. 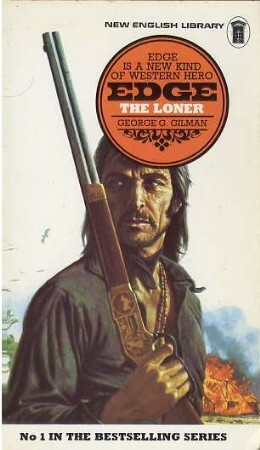 Credit for the sensational cover goes to James O'Barr of The Crow fame and John Bergin. 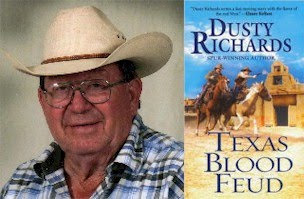 Texas Blood Feud by Dusty Richards won the Will Rogers medallion award for best fiction of the year. The award will be presented in Lubbock at the Symposium in September. The first book of this popular series of exciting westerns featuring the lone character Edge by George Gilman will be re-released by Solstice Publishing in ebook and paperback in August of 2010. Here's a letter I received today from Leah Hultenshmidt, the Editorial Director of Dorchester Books, in an attempt to clear up their situation. Apparently, word of their demise, or the demise of their western line, have been greatly exaggerated. 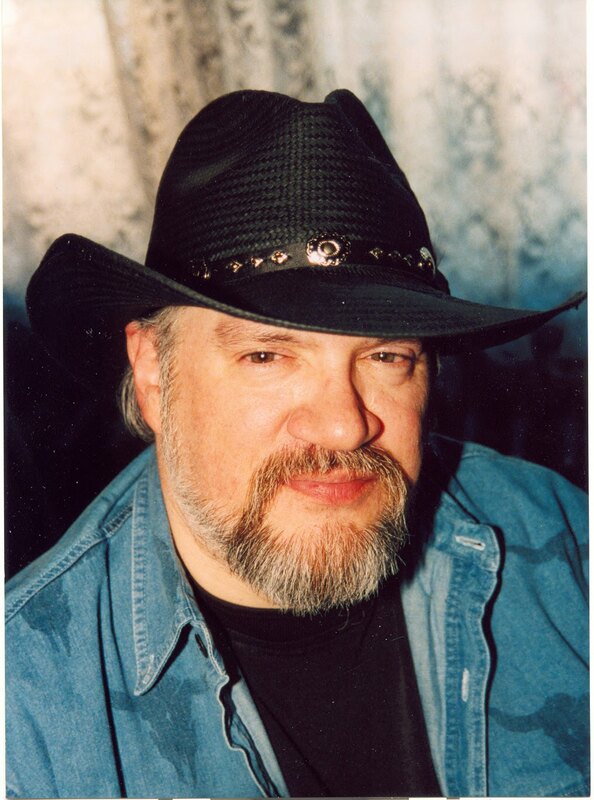 In addition, in an email to me Editor Don D'Auria said that Dorchester would be publishing just as many original western novels as they ever have. Don, Chris & I have been working to contact as many people as we could before sending out a blanket announcement regarding some of the new format changes many of you have already read about. Unfortunately, news broke online before anticipated. Given the many changes in the publishing industry over the last several years, Dorchester has made the decision to more tightly focus its distribution models so that we may fully capitalize on the most profitable emerging technologies. Starting with September titles, we will be moving from mass-market to trade paperback format. This will delay new releases roughly 6-8 months, but it will also open many new and more efficient sales channels. And we’re pleased to say all titles will be available in ebook format as originally scheduled. The substantial growth we’ve seen in the digital market in such a short period—combined with the decline of the mass-market business—convinced us that we needed to fully focus our resources in this segment sooner rather than later. Dorchester has always been known as a company ahead of the curve and willing to take risks. As bookstores are allocating the bulk of their capital to the digital business, it only makes sense that we do the same. Everyone keeps hearing that the industry has to change if it’s going to survive. We’re excited to be at the forefront of that change and will continue to keep you posted on further developments. When will my book be coming out? Ebook editions will be out in the month the mass-market was originally scheduled. The trade paperback will follow roughly 6-8 months after. We have tentatively rescheduled many of the Sept.-Jan. titles through June or July 2011. But we're still working on books scheduled farther out. Some of the delay will be in reformatting the typeset mass-market so that it better fits a trade size. But most of the extra time is so that the sales force we’re working with will have a chance to sell books in to the accounts. Just like mass-market, stores will be placing their orders about 4-6 months before the books are printed. I read in an article that these are print-on-demand. Does that mean they won’t be offered to the general market? We’ve partnered with Ingram Publishing Services, who will be selling in books to libraries, Borders, B&N, Books a Million and all other retail and wholesale accounts that we've called on previously. But by having many more sales reps, we'll also be able to target accounts, such as many independent stores, who have not ordered our books in the past. Just as for mass-market books, stores will place their orders and we will print to fill them. Books will be on the shelves for readers to browse. However, using print-on-demand technology, we will not have to keep as many books in inventory incurring warehousing fees. Books will be available for reorder just as they are now, but we will only have to print as many copies as we need instead of a minimum of 5000. What happens to backlist titles? We’re currently in the process of changing warehouses, but once set, reorders will continue as normal. When a book goes out of stock, we will make the determination of whether to reprint—just as we do now. Reprints will most likely be in trade format, though we haven’t completely ruled out the possibility of some staying in mass-market. Thank you for your patience and support as we make this transition. Someone described this letter to me as "defensive." I prefer to think of it as "encouraging." On the other hand Dorchester's decision to go heavily into E-publishing is not one that I endorse. But I tend to hang on to the "old ways." And I love mass market books. But if I equate what's happening with mass market books to what happened years ago with cassette tapes, can almost understand it. Not accept it, but understand it. P.S. I think I made my photo too big in this post. So sorry. My blogging needs work. 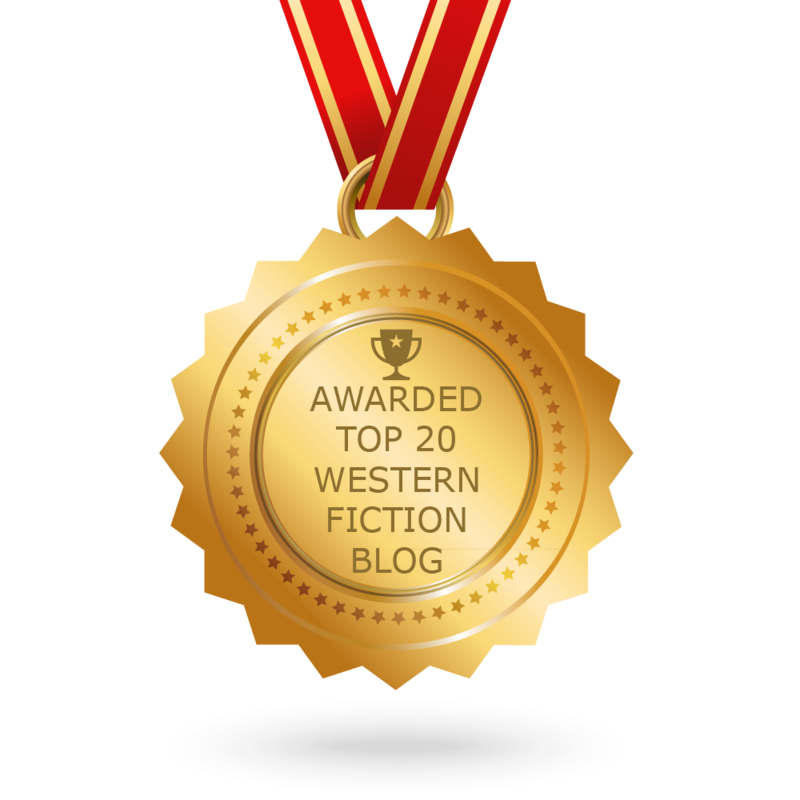 The first Western I ever wrote was an entry in a house-name series: PECOS, #27 in the Stagecoach Station series, published by Bantam under the house-name Hank Mitchum. Since then I’ve written books in a number of different Western series, and in many cases, I was already a fan of the books before I ever joined the stable of authors. Working under a house-name has its advantages and disadvantages. The biggest disadvantage is that you receive little or no credit for the work you’re doing. Your name is nowhere on the book when it comes out, and although some people (mostly in the industry) know who writes which books, the vast majority of the readers have no idea and don’t really care. They just want an entertaining story, and I can’t blame them for that at all, since I was once the same way. The advantages of working on a house-name series outweigh the disadvantages, as far as I’m concerned. With a long-running series, as a writer you have a vast legacy of previous books to draw on for inspiration. You have a solid, well-developed main character to work with, and yet at the same time you have the freedom to put your own spin on that character (within reason, of course). 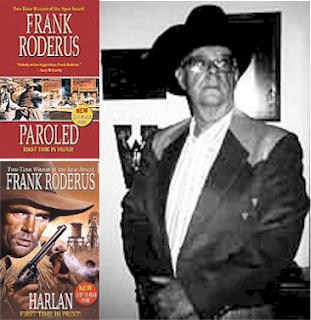 I’ve written nearly fifty novels featuring a certain mustachioed deputy U.S. marshal. In his appearance, his actions, his way of talking, are dozens of bits of influence from the other authors who have contributed to the series. Those influences combine with my own instincts as to how he should act and what he should say to create my own version of the character who is the same in many respects but subtly different in others. Those differences make it possible for me to read books in the series by other authors and still enjoy them, because they each have their own individual take on the character. You also have an established readership for these series, and your job is to entertain those readers as they’ve been entertained by previous books. It’s a challenge, but for me, a very enjoyable one. In the past month I’ve worked on projects that will be published under four different names, none of them my own. People have asked me, “How can you write a book knowing that your name won’t be on it?” For years my standard answer was, “I don’t care as long as my name is on the check.” Of course that’s not completely true, now or then. Writing has been my job for more than three decades now, and getting paid is important. But most writers love to see a new book with their name on it, and I’m no different. If we didn’t have egos, it probably wouldn’t even occur to us that people might want to read what we write, would it? I’ve been blessed with the ability to put those feelings aside when I’m working, at least to a certain extent. When I’m sitting at the computer, the words appearing on the monitor are my words. The book I’m writing is mine. When it’s published, my name may not be anywhere on it, but that has no bearing on the writing itself. I know it’s good, and I feel a surge of pride when I see the books in the store and know that people are reading them and enjoying them. So when you come right down to it, the answer to the question “Who am I today?” is simple and always the same. I’m a guy writing a book, spinning a yarn. That’s all I ever wanted to be.